Did you know that ADD and ADHD are anxiety-related disorders? Not having the ability to concentrate to complete simple tasks can be debilitating on a person’s mind. While CBD isn’t a cure for ADD/ADHD (or any disorder I might add), it can help alleviate the symptoms that come with the ailment. Attention deficit disorder (ADD) and attention-deficit/hyperactivity disorder (ADHD) are two types of mental health conditions that affect the ability to learn and concentrate. The difference between the two is the hyperactivity. People with ADD have the ability to stay calm and tranquil. ADD/ADHD is a disorder of control, meaning it makes it difficult to control what you focus on. This is why people who have this disorder jump from one shiny object to the next, struggle to keep a routine and get stuck exploiting unproductive business. If you suffer from ADD/ADHD, then you know best of all that you CAN focus. You just have trouble actually doing the tasks that you know you should be doing. While pinpointing the cause of ADD/ADHD is still up in the air, it is considered that it develops due to a mix of genetic, environmental, and even viral/bacterial factors. Research has discovered that the genes affiliated with ADD/ADHD are also involved with dopaminergic signaling system. This system is partly controlled by chemical compounds from the endocannabinoid system. One of these compounds is known as Anandamide, which contributes to a person’s happiness and mental well-being. People who suffer from ADD/ADHD have been observed to have lower levels of dopamine in their brains. Dopamine is a neurotransmitter responsible for thought processes such as memory and attention. Dopamine transmits signals between the neurons in the brain. According to the Diagnostic and Statistical Manual of Mental Disorders (medical professionals use this as a standard for diagnosis), ADD/ADHD is identified when an individual shows trouble with various mental functions, including being attentive or being hyperactive. Find your happy place! Try CBD to treat ADD/ADHD. ADD/ADHD can manifest into severe problems associated with schooling, work, and social life if it’s left untreated. Life can easily become isolated when you can’t control what you focus on. The current ADD/ADHD pharmaceuticals available are controversial due to the fact that they are stimulant-based. For example, Ritalin, Adderall, and Vyvanse are widely prescribed stimulants that boost the levels of dopamine and norepinephrine (a neurotransmitter associated with alertness) in the brain. Second and third-generation drugs such as Adderall and Vyvanse have been shown to be less tolerant with longer-lasting side effects. These drugs react extremely well for some patients. But for many other people, the medication increases their anxiety and decreases their quality of life. This is most likely due to the various negative side effects that come with these stimulants. Side effects include insomnia, nausea, vomiting, problems with the circulatory system, stunted growth, and even hallucinations. ADD has, therefore, been often over-diagnosed in the past, elevating the social status of the disorder as a symbol of a nation associated informally with pharmaceutical companies. If the side effects hurt more than the drug helps, then it’s time to look for an alternative alleviation. This is where CBD comes in. CBD has shown to help alleviate symptoms that come with having ADD/ADHD. CBD can help balance Anandamide levels in the Endocannabinoid System, which will help increase and balance dopamine levels as well as other neurotransmitters. On top of this, it will also help alleviate anxiety, help manage stress, and promote calmness to hyperactivity. Another thing that CBD has on top of taking a pharmaceutical, is that it comes with no harmful side effects. However, if you decide to take the CBD on top of other medications, it would be wise to consult your physician prior to starting CBD. CBD has the potential to inhibit the cleansing system in the liver that helps detoxify other drugs from entering the bloodstream. I myself take CBD for ADHD and anxiety, and it really does wonders! It boosts my ability to focus, my creativity levels, keeps my anxiety down, and helps me sleep at night. The best part is while it does all of this for me, it allows me to make good habits, keep a routine, and focus on working on self-discipline to strengthen that part of my mind. By strengthing my self-discipline, living life will become that much easier since it’s this same part of my mind that makes it miserable when I’m not healing myself properly. I am able to focus on making my life healthier and happier all because of CBD! 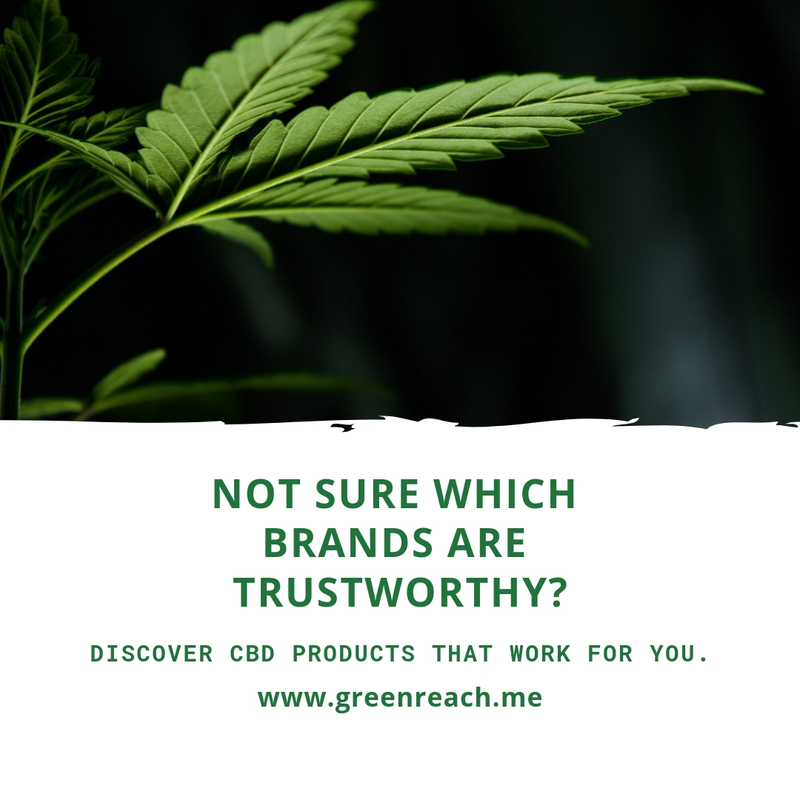 From my experience, I get more relief from using full-spectrum CBD vs CBD isolate products. Check out our vetted list for top quality products!